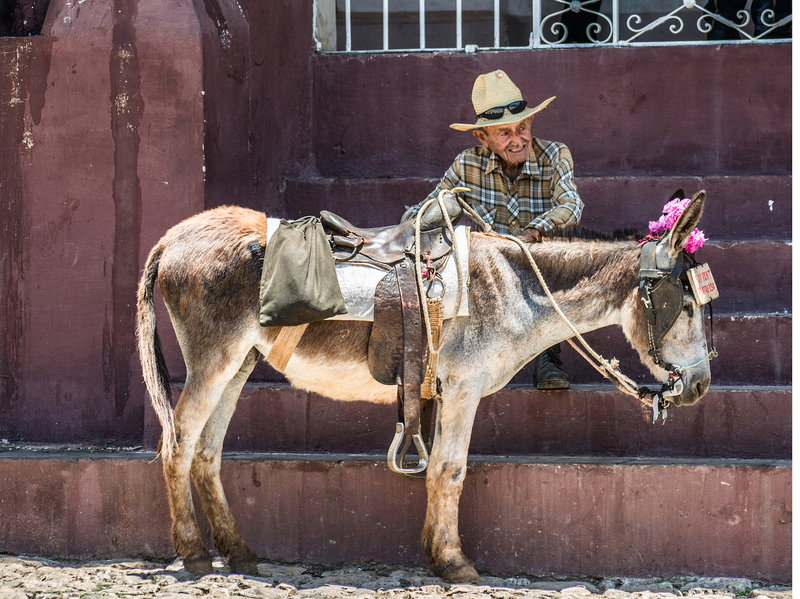 Mexico and Cuba couldn’t be more different as travel destinations, but our ‘Pro in the Know’ Karen O’Connor explains why weaving together an incentive travel adventure serving up a taste of Mexico City and Cancun followed by a feast for the senses in Havana can work a treat. With an Australian group from the liquor industry on a study tour in tow, the Totem Group leader led them to the perfect mix of luxury accommodation, culture and some unforgettable experiences. 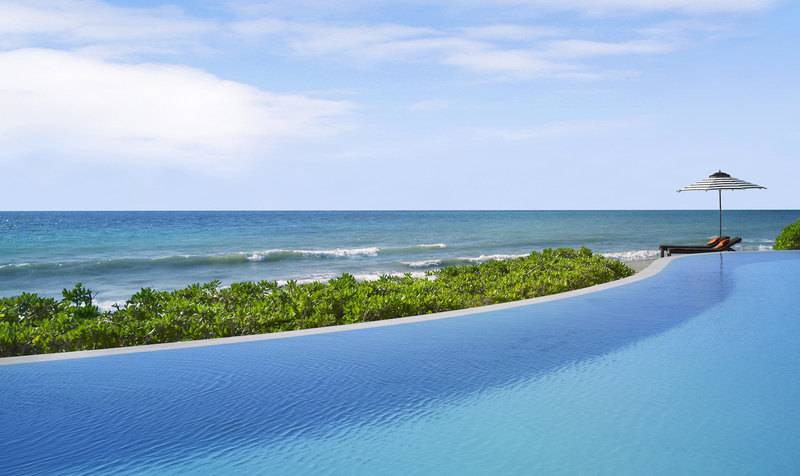 Q: Karen, tell us about how this incentive trip began for your group? KAREN: It all started in Mexico City and we spent four nights staying at the Four Seasons Hotel Mexico City, which truly is a beautiful property with a really lovely Mexican feel to it. In choosing Mexico City, the idea was about capturing the essence of the city itself but also doing two day trips with historical appeal. One was at Teotihuacan, for the pyramids, and the other was another UNESCO site, Puebla, which was founded in 1531 and located about 100km east of Mexico City at the foot of the Popocatepetl volcano. Then the time in between those adventures was spent exploring Mexico City itself, which is so big you can’t quite comprehend it unless you’ve been there. However, you can get a taste of it without spending huge amounts of time there, which is what we did. Being organised clearly sounds important for any stay in Mexico City? Absolutely, being well organised is imperative, which is where our (Totem) expertise comes in. There are certain parts of Mexico City that, security-wise, you have to be cautious with. I wouldn’t be winging it in Mexico City, that’s for sure. Our objective was to choose a beautiful and reputable hotel in a safe area, which is why the Four Seasons was perfect as it’s in an area where there are a lot of other five star hotels. As a general rule wherever embassies are based, you’ll generally find it’s a good area. What sets the Four Seasons Hotel Mexico City apart? There are a few things. It’s five star, without question, and has a distinctive Mexican feel. So, it has a lovely internal courtyard and the gardens are just beautiful. But you also know you’re in Mexico City, whereas with some other international hotels there’s not much of a glimpse of where you are sometimes, but at Four Seasons we certainly felt we were in Mexico City. The other reason we chose this hotel was because it has this amazing bar called Fifty Mils, ideal for this particular group from the liquor industry. Now, this bar is a destination in itself, regardless of the hotel! It’s one of the hottest and most interesting bars in Mexico City. The bar became a meeting point at the end of every day for the group as they enjoyed some amazing cocktails and learnt about different liquors. A few mentioned they would definitely be taking ideas back to their businesses back home so it really ticked the box as being both an inspirational learning experience but also loads of fun. It sounds like you need to know what’s going to work for your client beyond choosing a travel destination? From a Totem perspective, it’s about understanding your group and what can be a relevant experience that they can take away. They all got to know the manager of the bar quite well and some of the bar staff, which took it to another level beyond a travel destination experience. One of the staff had won barman of the year on an international scale, so the learning aspect was invaluable. It also made sense security-wise for the group to come back to this bar at the end of the day. They all stayed together and stayed within the safety of the hotel, they could go back to their rooms when they wanted to, which is also important when you are looking after a group. It’s not just the parts of the program that we’re organising. You need to be thinking about keeping them secure and safe, still having their downtime, and having meaningful or memorable experiences within that space. Tell me about the next step. 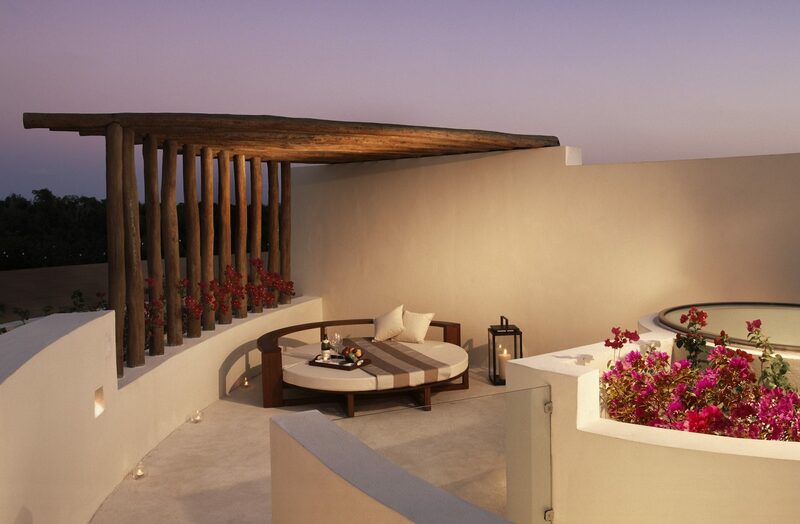 The Mexico experience moved on to Cancun, and another impressive five star hotel? Yes, we had basically three full days in Mexico City and then we headed off for a short trip flying Aero Mexico down to Cancun, which is two and a half hours away. 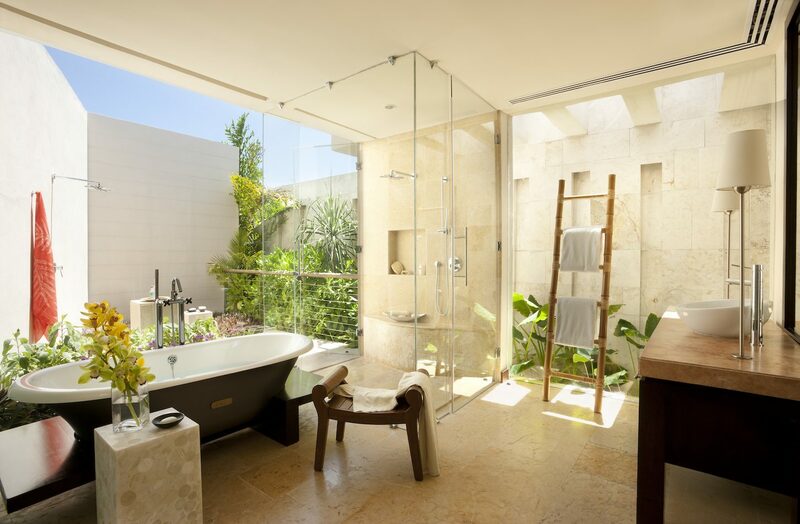 We checked in at the Rosewood Mayakoba in Playa del Carmen, which is a stunning resort and, for many that was the highlight of the trip. It’s in the top 10 resorts in the world and it’s not ostentatious by any means. It’s majestically set with waterways and gardens running through it. Each room is a villa independently, so they’re not hotel rooms as such. There are 30 room types that they offer with upstairs and downstairs, they’re luxuriously spacious, and each room comes with a plunge pool. You have multiple areas to relax and lay around if you choose, so it’s perfect for honeymooners, as in people just wanting to kind of stay in their room and lap up the luxury in privacy, but then there are lots of fantastic facilities where you can come together as a group. It was here we had a lovely family style dinner in the beautiful chef’s garden area. After the group had a meeting the following morning, it was the ideal space to enjoy some downtime with a day at their leisure before a trip to the Tulum Ruins. Then we farewelled the Mexico experience with a gorgeous dinner on the beach. Enter Cuba. Did it take you long to reach Havana? Havana is only an hour and a half from Cancun, so it’s actually closer to fly from Cancun to Havana than it is from Mexico City. There are direct flights with AeroMexico. Keep in mind it’s a bit of a slow process as I think we stood for an hour waiting for our bags to come around. You’ve just have to slow down and things don’t happen fast by any means. You just need to leave your expectations behind and relax into the slower pace during this transition in the trip. Totally different, but very relaxing while having to do that. 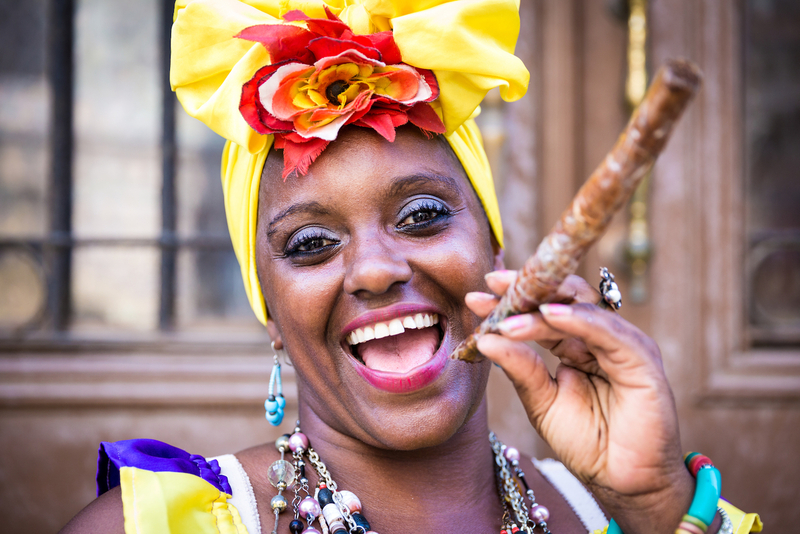 What is it about Havana that makes it so magical? It’s important to travel here in style, staying in a beautiful property and indulging in activities and tours using a great ground operator and we had an excellent ground operator. It’s just their simple zest for life, music and entertaining and not all about money; it’s more about lifestyle. It’s about what stirs you within. You need to understand Cuba’s history to figure out it was a really wealthy city in its day, so money was spent on buildings – and we’re talking a Parisian standard of buildings – which are now dilapidated, but you can still see that it’s there. The city and its buildings just need a little bit of tender loving care and it will all come back. 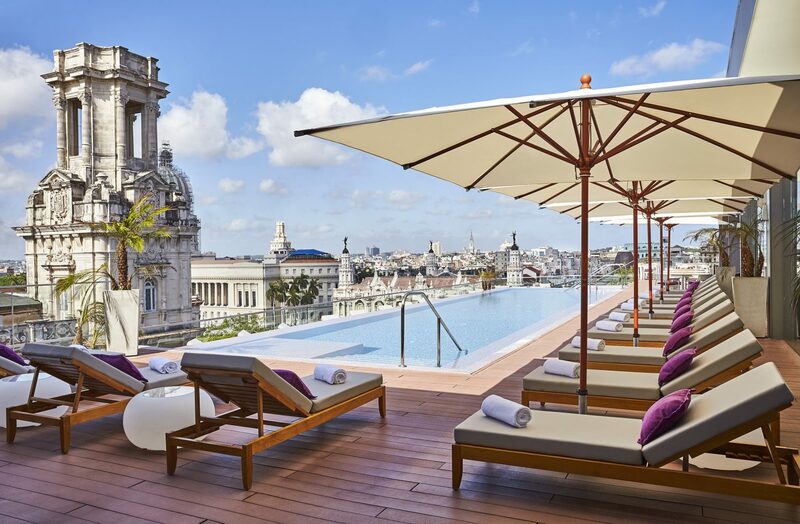 An example of that was the hotel we stayed at, the Gran Hotel Manzana Kempinski La Habana. 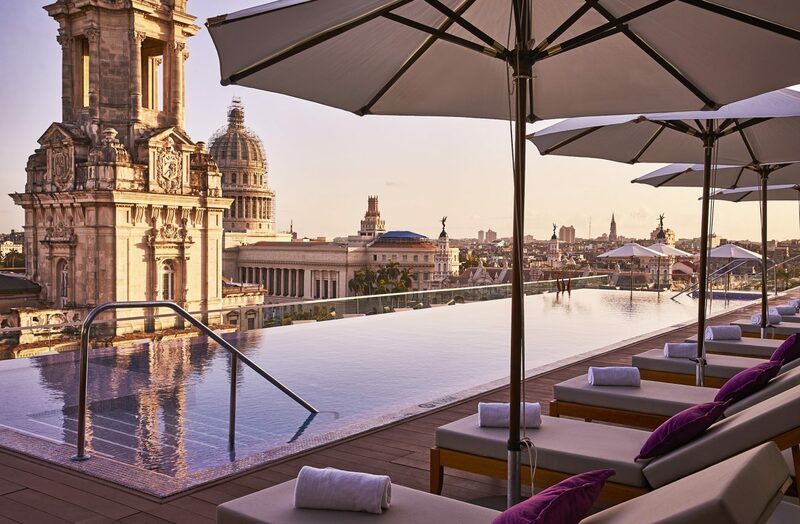 The Gran Hotel Manzana Kempinski La Habana sounds like a destination in itself. They eloquently set the scene on their website… Close your eyes for a moment and imagine your surroundings: waves crashing in the sea, against a wall of moss; a young couple dancing in a picturesque alley, in old town Havana; guitars and voices harmonising over a syncopated drum rhythm; a handsome man in a guayabera shirt, observing tourists with Hemingway beards; the sight and sound of vintage cars; Che Guevara on a billboard; a banknote; a key-ring; a t-shirt…Welcome to Havana! Tell us about your arrival? Yes, exactly, so it’s a hotel the Kempinski Group took over. 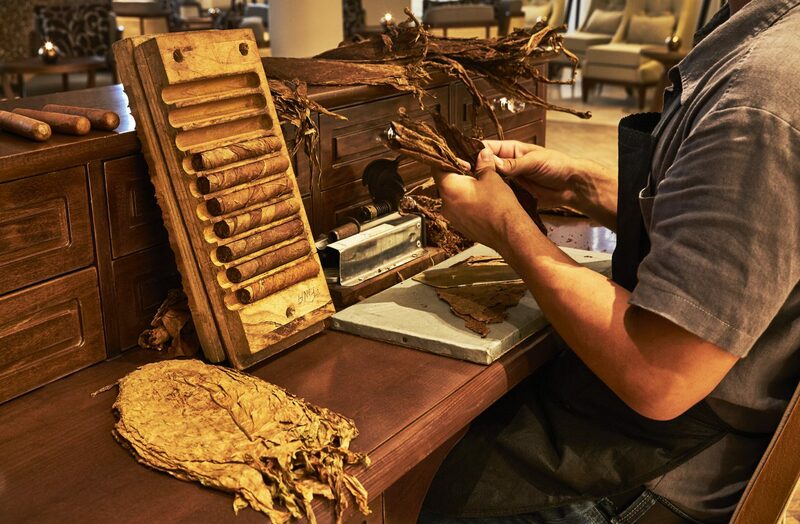 It’s still owned by the government – it’s very hard to own anything in Cuba – but with Kempinksi managing it the hotel has that international standard and flavour, and they would have invested into the build on that level. 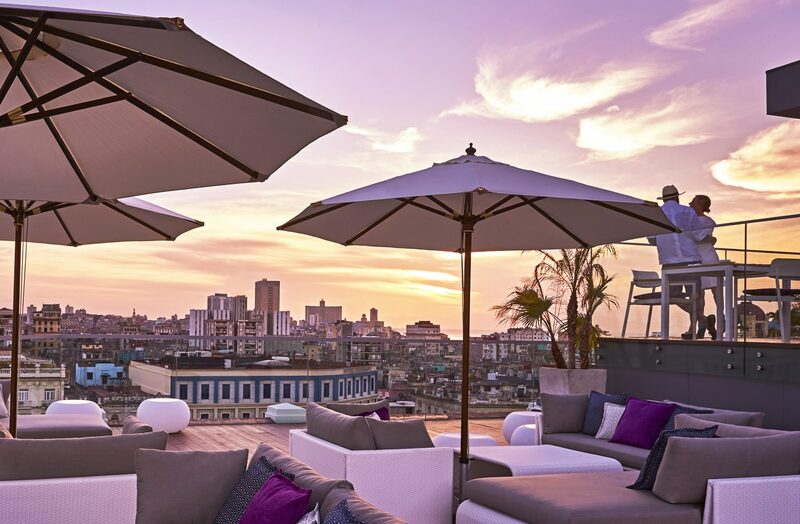 And it’s a really beautiful new hotel right in the heart of town, an older building with a modern touch including a rooftop pool with the most amazing views of Havana. It’s about finding these kind of gems that are not lost, and as much as you look at their political history drama and the fact the people don’t have a lot, but by having had that political situation nothing was knocked down. So, if it had been in any other situation, we wouldn’t have these buildings that are now starting to be invested in and which are coming alive again. It’s going to take time, but Havana will turn into something quite magical within the next 15 years. Tell us about the activities you organised for the group? 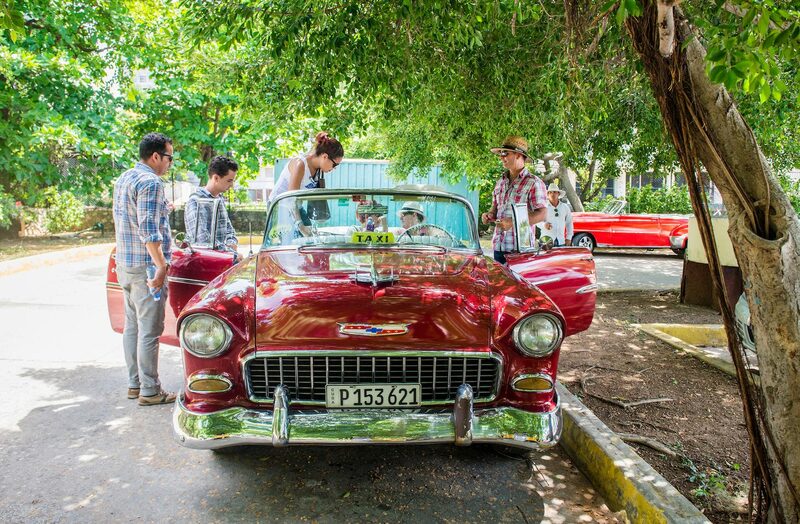 Firstly, Cuba is renowned for its American classic cars (almost like a rolling museum), so we had the old Havana cars set up outside the hotel. The weather was fantastic which made conditions perfect. And then we all hopped in and rode around for the afternoon before stopping at Hotel Nacional for a cocktail. It’s an old hotel renowned in Cuba and the place where all the gangsters used to congregate. Some of the group, of course, had a cigar and a cocktail to truly get into the spirit of the place. Then we came back to the Kempinski before heading out for dinner. Speaking of which, how is the restaurant scene in Havana? It’s a little different. We went out for an authentic Cuban restaurant experience. I’d organised for music that night in what was an authentic local experience. When I say authentic, I mean we were in a bit of a cramped rooftop restaurant as restaurants are quite small in Havana, but it was lots of fun with a great atmosphere. I think they only had a piano and some percussion, but the woman’s voice was incredible, and the sound was a kind of Afro/Latin combo of music. They all have this ability to sing a tune without a lot of musical support, really. And so everyone was just mesmerized listening and enjoying that. So that really kicked the night off beautifully. Everything’s done a little bit differently In Havana with a lot of the restaurants government-owned and, to be honest, they can be pretty boring and the food can be not so good. So, you need to find the family-owned or privatized restaurants. Most of the places we chose were family-run-style restaurants and great quality. They have a different feel with their menus and generally better food. Another night after swimming in the hotel’s rooftop pool and relaxing, we took them out to dinner after walking through backstreets, wandering through these old dilapidated buildings and reaching the third floor where they’ve created a restaurant called Pladar La Guarida. It’s a famous restaurant; probably the most famous restaurant in Cuba. Again, it’s about knowing where you can go that’s so important in Havana. There’s obviously a lot to do in a place like Havana. What else did you organise for the group? We were very lucky to have such a top quality tour company on the ground, as mentioned earlier. One morning we headed off on a walking tour and really got a sense of the history. I think that’s really important and so crucial to understanding the city and why it is the way it is, grasping what the influences were back then to what it is today. Then, of course, we headed onto cigar rolling as well as rum tasting. Both fantastic experiences. Many bought cigars for family and friends as gifts. I believe buying them here in Australia costs anywhere from $200-$300 but in Havana they are only $15. It’s an interesting atmosphere where you see people smoking cigars everywhere… the smell of Cuba, in a sense. We also went to the Tropicana Show, which is so over the top, but you’ve really got to do it when you’re there. It’s so well done. Again, this goes back to a heyday when this was created as entertainment and continues to thrill audiences to this day. 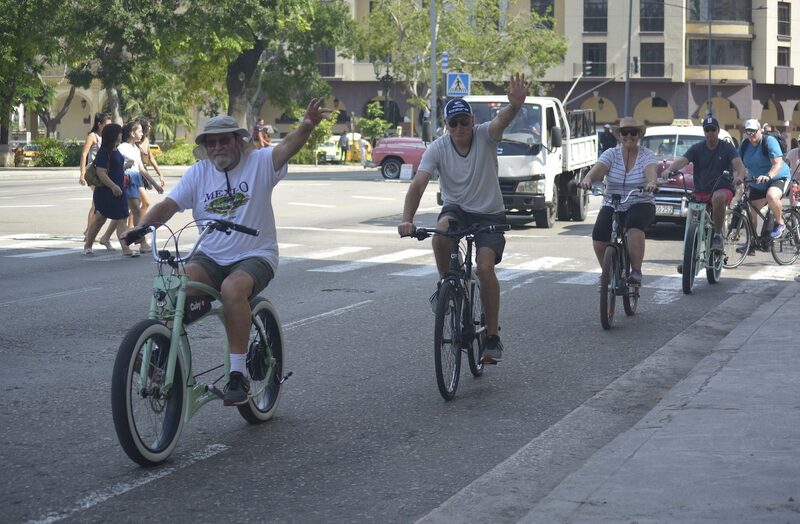 And bike riding is a great way to explore Havana and beyond? Yes, we decided to take the group out of the city and give them a different experience so we organised a bike ride on some e-bikes (electric). It’s a very comfortable way of just going through some of the suburbs and seeing the local lifestyle experience in the real world. We actually found in Mexico City that people thought we were American so we had a bit of lip thrown at us at times there. That’s the real world for you, however, with a lot of people’s views of President Trump and some of the decisions he’s making which has made the Mexicans very anti-American. We kept saying, “No, we’re Australian. 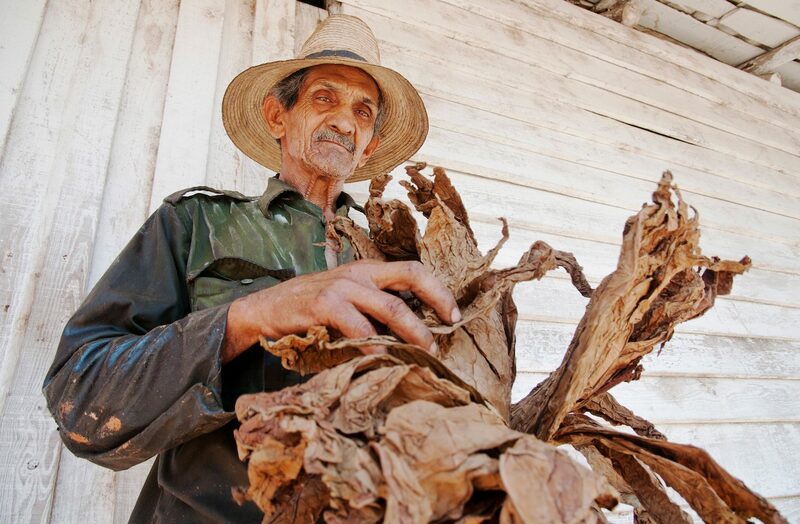 We’re not American.” But the people in Cuba are a whole different story. The biggest thing about Cubans is that they are so happy to have tourists. They really want us there and want tourism to thrive (it’s the second biggest industry in the country). They know it’s an income source that the country needs. They were just so friendly, stopping and having a chat or just being so warm and waving hello as they were all going past. Some people have the view Havana is a little dangerous. So you’re saying it’s safe? 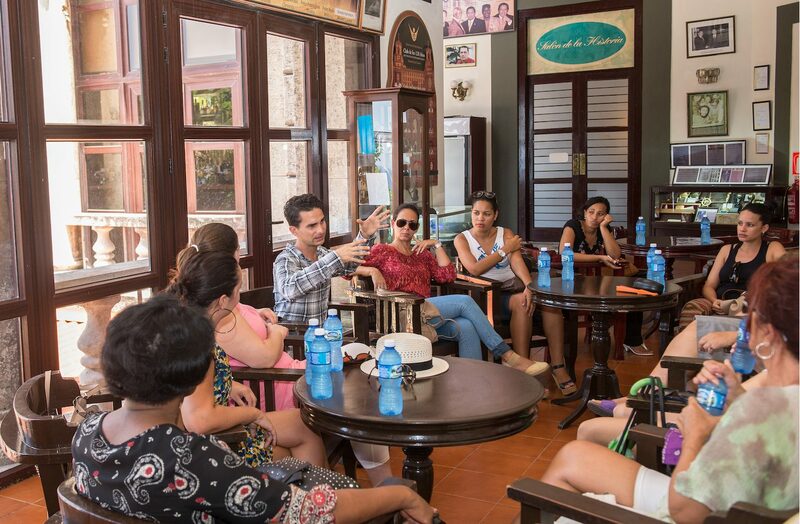 Havana is definitely a safe place, despite some misconceptions. Mexico City is a lot more unsafe than Havana. 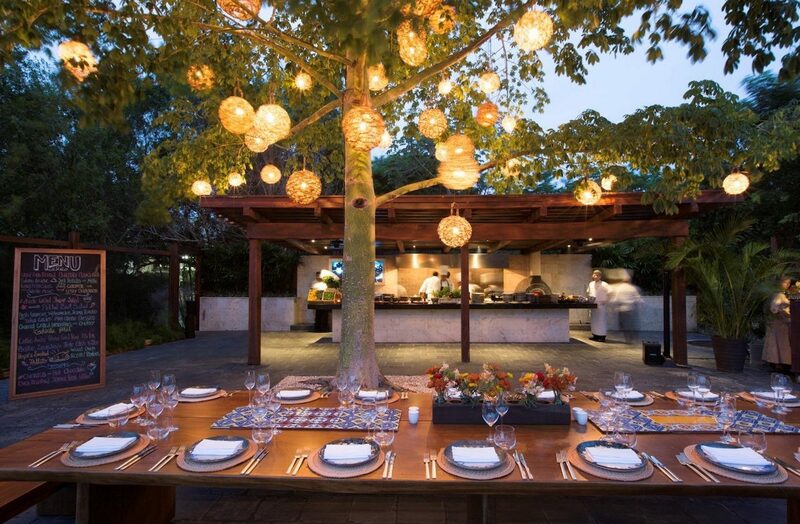 The bike tour ended at a private home that we booked exclusively to give the guests a relaxed, authentic experience. Situated on the water, the afternoon was spent swimming, enjoying home cooked paella accompanied by an open bar and a siesta under a palm tree. To continue on the theme we also had a rum specialist conduct one on one tastings with the group and of course more cigars to try. So what was the highlight of the entire trip for you? Definitely Havana. This kind of experience for a group gets to the roots and core of a country’s history, and it ticks so many different boxes. You obviously get to stay at a beautiful property, too. I never want any of my groups to feel like they’re having a sterilized experience. There still has to be an element of getting a sense of place and its culture, and where the group is able to interact with people. So providing those experiences is really what my job is about. I always say I haven’t done my job if I haven’t given them an experience that they couldn’t have had on their own. So my job is to create experiences that they can’t have as an independent traveller. For your Incentive, Conference, Event and Group Travel specialists contact Totem Group- delivering motivation, engagement, inspiration and rewards.